TAKING ROAD RAGE OFF THE ROAD! There are many forms of traffic violations; from jumping the red light to using mobile phones while driving, to not wearing the seatbelt and to entering a jam-packed yellow box. But the worst form of impulsive behaviour on the road is ‘road rage’. What is road rage? It is extremely menacing or violent behaviour on the part of a driver for real or imaginary slights, provocations or mistakes made by another driver. Road rage has resulted in death, murder, deliberate violent accidents and much else, besides creating terror and fear psychosis among those affected by an enraged driver. 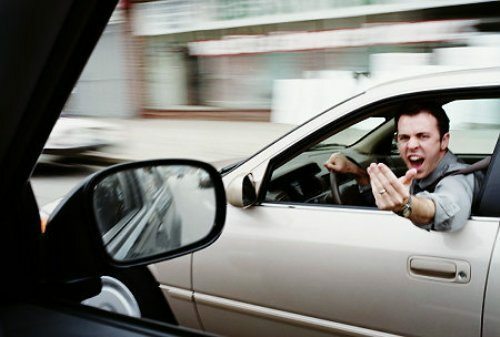 Road rage can result from various kinds of erratic behaviour on the part of another driver. A driver may have suddenly changed lanes without warning or giving an indicator and come in front of you, thereby rattling you. A driver may have violated the ‘right of way’ rule and taken precedence when it is your right to go ahead. A driver may have taken a wrong ‘U’ turn thereby causing a near-accident with your car. Or a driver may be busy talking over the phone while driving, thereby slowing down and causing you irritation. These are just a few examples out of several which one witnesses or experiences often while driving on the roads. Road rage entails chasing down another car, flashing headlights, blowing the horn desperately, speeding after your ‘offender’ to ensure he does not ‘escape’ you. But remember that this road rage of yours could also make you oblivious to your own safety and you may jump red lights to ‘catch’ him, graze other vehicles as you weave in and out of traffic lanes and could even get you involved in a serious accident.